Tis the season to bake festive themed treats. I saw the recipe for these on one of Zoella's YouTube videos and thought I would give it a go. You basically just mix the mixture and all the other ingredients together in a bowl until everything is mixed together. The mixture may be a tad lumpy. After this I added in some white chocolate chips (because I am a massive white chocolate fan) spread in a square baking tray and baked for about 30 to 35 minutes. You then take out of the oven and leave to cool then when cool either cut in half or 3 rows, then start cutting out triangle shapes along the row. - Or anything you particularly want to add. Mix the icing sugar with hot water making sure the paste is thick and not runny. Then add in a few drops of green food colouring to you reach the green shade you are looking for. Add on the 100's and 1000's before the icing sets and they don't stick easily, then place a white chocolate star at the top to give the resemblence of a Christmas tree. 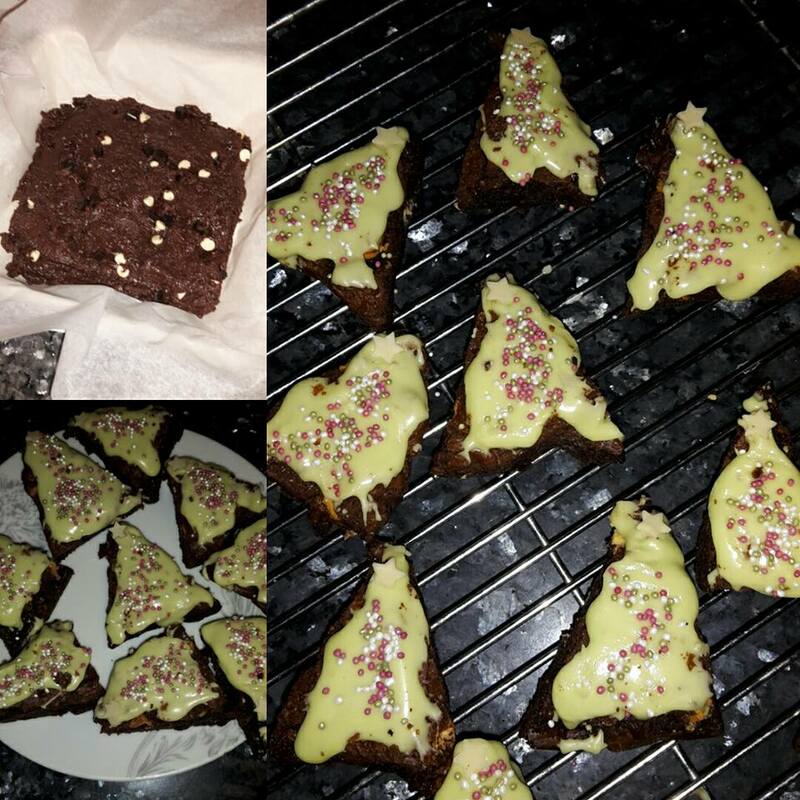 Then voila your festive treats are done!